About a month ago, I wrote about the plane Parker was going to fly for the duration of his time in the Navy and what that meant for our family. Quick recap: he was going to fly the E2 delta, and living on the west coast was no longer an option. We had a 50/50 shot of staying in Virginia or going to Japan. We were really excited about the possibility of going to California, so finding out that was no longer in the cards was upsetting, and knowing we had a 50/50 shot of Japan scared the heck out of me. I know Japan would be such an adventure, but being so far away from family was just not ideal. The E2 was not Parker's first choice (he was hoping to fly the C2), but he had the best attitude about it and was really excited to be flying such a cool plane. We hadn't gotten exactly what we wanted, and the location was still up in the air, but we were at peace with it. Everything was going to be just fine. Fast forward, we find out they are moving Parker to the next class, and this class has both E2 and C2 slots. Suddenly, we are back to square one, and C2's are once again a possibility. We thought the E2 delta was a done deal, so we were shocked when Parker got the call. He just selected yesterday, and he is going to be a.... C2 PILOT!!! We are beyond excited for this next chapter, and I cannot wait to see Parker fly the plane he was hoping to get to fly. The guys in his class are like family, and every single person selected the plane they want to fly. The aviation community is such a team effort, so getting to celebrate with everyone last night and seeing all of these pilots so excited was awesome. We feel so blessed and excited for this next chapter. We still don't know where we are going after this, and Japan is still a possibility. But you know what? So is San Diego, and so is Norfolk. We love it here and have some amazing friends here, and we also have some amazing friends in San Diego. We also have wonderful friends in Japan, and anywhere we go will be an adventure. We can't lose at this point, and we also can't seem to wipe the smiles off of our faces. 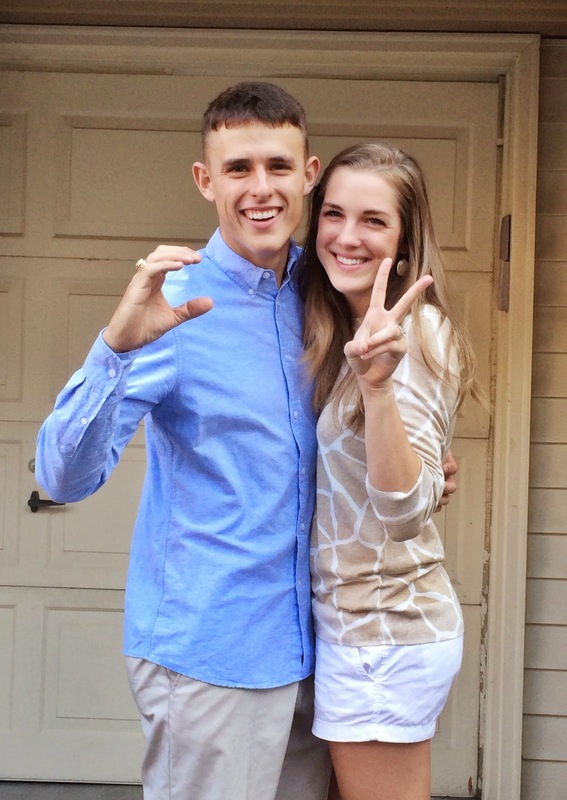 God has been so faithful to us, and we feel so privileged that Parker will be flying the C2. Throughout this process, we have learned to accept the good with the bad and adapt when things don't seem to go our way. We both feel really confidently about where we are and the plane Parker is going to fly. We can't wait for this next chapter to start! God is good, yall. our cheesy attempt at a celebratory C2 picture... so happy! Oh so exciting! I can't wait to see where you guys end up! By the way, LOVE your shirt! SO exciting I am glad that he gets to fly the plane he's always wanted to that is great! I can't wait to find out where you get located! Congrats Parker! And if you come to California our twin pups can meet and so can we!!! Exciting news. Congrats to Parker. We always knew he was a "standout"! God is faithful to those who love Him! Congrats to him! That is so exciting! Aw yay congratulations to you both!!!! The military always keeps you on your toes lol how long until you find out where you are stationed? Such a blessing! Yay! Love when things turn out for the best with military orders! Hip hip hooorayyyyy! So excited that "the odds were ever in your favor"! I bet the celebration last night was fun too. Whatever you guys get in a year will be amazing but I'll just keep saying my prayers at night that it's San Diego (selfishly, of course). Congrats Phelps family! That is so awesome!! Congratulations to both of you. You are so stinkin adorable! Amen! God is so in control! YAY :) hopeful for another tour in norfolk :)!! Oh my gosh!! That is so awesome!!! God always has a plan, and I'm so glad that it worked towards your favor this time!!!! Congrats! Yay! How exciting for Parker (and YOU!!!) Congratulations!!! That's so exciting! Yay Parker! Can't wait to hear where you guys end up! San Diego is wonderful but I'm excited to be moving on to Florida in December!